While your chances of losing teeth increase as you age, it's not a given. With proper hygiene and care your teeth could last a lifetime. But brushing and flossing can become more difficult in later years. Arthritis or strength issues in the fingers and hands make holding a toothbrush an arduous chore and flossing next to impossible. But you can accommodate these physical changes. Many seniors find using a powered toothbrush much easier to handle and effective for removing disease-causing plaque. A tennis ball or bike handle grip attached to a manual toothbrush can also make it easier to handle. As to flossing, older people may find it easier to use floss threaders or a water irrigator, which removes plaque from between teeth with a pressurized water spray. You may also find changes in the mouth that increase your risk for dental disease. One such issue is xerostomia, dry mouth. As you age you don't produce as much saliva, which neutralizes acid and restores minerals to enamel, as when you were younger. Dry mouth can also be a side effect of certain medications. 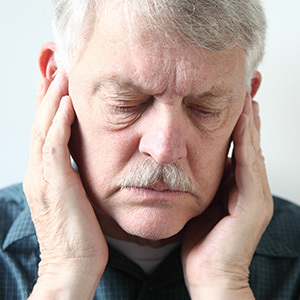 Older people are also more likely to suffer from gastric reflux, which can introduce stomach acid into the mouth. With these dry, acidic conditions, you're more susceptible to both tooth decay and periodontal (gum) disease. You can help offset it by increasing water consumption, taking a saliva stimulator, changing to alternative medications if available, and relieving gastric reflux. Another area of concern in aging is the higher risk for inflammatory diseases like diabetes or cardiovascular diseases (CVD), which could also increase your risk of periodontal (gum) disease. Seeking treatment for gum disease and other similar systemic diseases may help ease the effects of each one. Taking care of your mouth can be challenging as you grow older. But tooth loss and other unpleasant results aren't inevitable. Invest in your teeth and gums today and you're more likely to have a healthy life and smile all through your golden years. The traditional way to restore a tooth with an artificial crown takes several weeks and multiple office visits: from tooth preparation and impression molding to crown production by a dental laboratory, followed by adjustments and cementing. Now, there’s an alternative that reduces this process to a fraction of the time, and all from your dentist’s office. Computer-Aided Design/Computer-Aided Manufacturing (CAD/CAM) is a digital system that enables dentists to create dental restorations with laboratory-grade materials in minutes rather than weeks. As it continues to innovate, you’ll see more and more dentists investing in the new technology for their patients. A crown restoration with CAD/CAM begins like any other with decay removal and preparation of the tooth. It diverges, though, from the traditional in how an impression of your teeth and gums is obtained: instead of rubber-like molding materials to create a physical impression, we lightly dust the mouth interior with a reflective powder. Using a scanning wand, the reflective powder allows us to capture multiple, detailed images of your mouth that the CAD/CAM computer transforms into an accurate three-dimensional model. We use the model to first assess if the tooth has been effectively prepared for a restoration. If so, the design feature of the system will provide us with thousands of tooth forms to choose from to match with your natural teeth. You’ll be able to view the proposed size and shape of the new crown via computer simulation before signing off on the design. Next is the actual manufacture of the crown that takes place right in the dentist’s office. A pre-formed block of ceramic material is inserted in the milling equipment where, following the pre-determined computer design, the milling heads carve the ceramic block. After milling, we fine-tune the crown surface and apply stains or glazes fired to create a life-like color and texture that matches your natural teeth. We can then adjust the crown in your mouth and permanently affix it to the tooth. 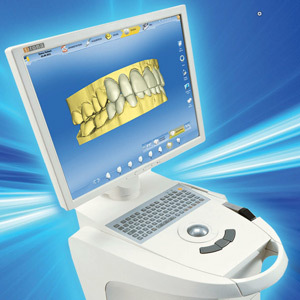 While much of the CAD/CAM system is automated, ultimate success still depends on the dentist’s expertise and artistry. CAD/CAM enhances those skills with greater precision and in much less time than traditional crowns. It’s certainly a growing option for many people to restore the form and function of decayed teeth.